The medical and scientific research in the Stand 21 Heat Stress Control has afforded Stand 21 a strong lead in manufacturing products that help alleviate the risks of excessive body heat while racing. To that end, Stand 21’s R&D has designed a full range of exclusive HSC-engineered truly breathable racing suits. Exceptional fire retardant performance, according to the most stringent standards. For drag racing or land speed records. Suits and accessories for your support team (engineers, doctors, marshals, refueling, mechanics, journalists…). Highest protection level available for your technical staff. 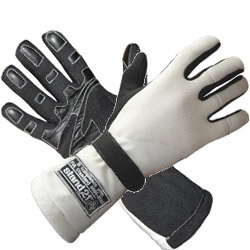 Fully customizable with your racing team colors. Breathability for optimum performance during pit-stops. Stand 21 wants to help demanding kart racers. Do you wish to design your own suit and get the custom look of a top-level racer? We are here to help, please contact us!